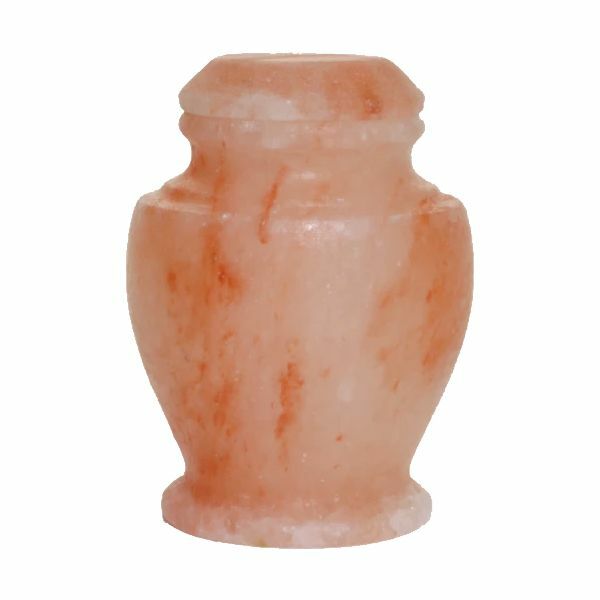 The Carpel Rock Salt biodegradable token cremation urn is made from pure salt and can be sealed with non-toxic paper or wood glue (not included). When totally submerged it completely dissolves in any body of water in less than 4 hours. 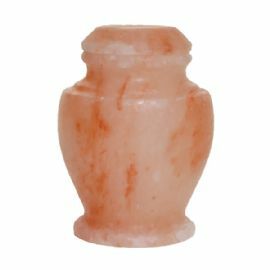 This exclusive biodegradable salt urn comes from the magnificent mountains of the Middle East where Mother Nature has been compacting salt crystals under the ground for many centuries. The reddish hue of the salt is derived from the percentage of iron content in the actual salt bed.